This program is an example of merging cells that contain a rich string. Using the standard XlsxWriter API we can only write simple types to merged ranges so we first write a blank string to the merged range. We then overwrite the first merged cell with a rich string. 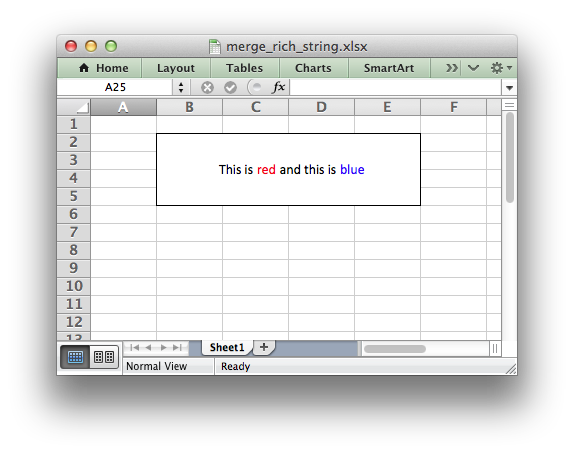 See the merge_range() and write_rich_string() methods for more details. # We can only write simple types to merged ranges so we write a blank string. # must also pass the cell format used in the merged cells format at the end.